Want to start a blog or business site but don’t know which one is the 2019’s best WordPress hosting? 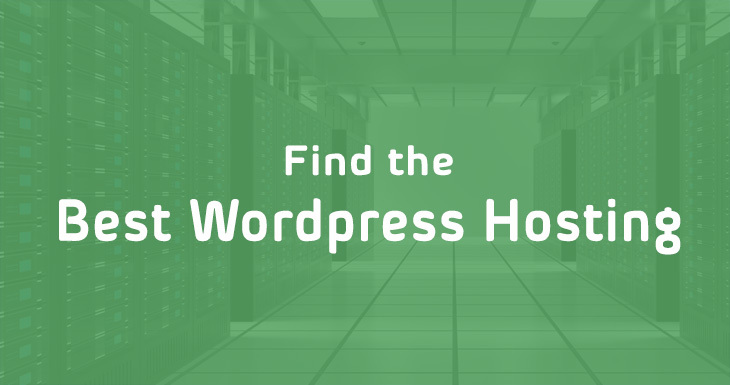 Don’t worry we compiled a detailed list of some of the best wordpress hosts to help you pick the right company. But first of all a bit of introduction to WordPress, it is an open source CMS (content management system) launched in 2003 by Matt Mullenweg and Mike. Now, WordPress empowering more than 25% websites worldwide and one of the most popular CMS platforms. You can install it freely on the web server and get online within a few minutes. It is growing very rapidly due to simplicity, flexibility and offers a wide catalog of free and premium products (Plug-ins and themes). Using it, you can create any type of website such Personal Blog, Magazine style site, Shopping store, eCommerce site, News sites and much more. In a nutshell, there is a lot of possibilities which can be done using WordPress. Almost all web hosting companies support WordPress, offers 1-click installation and easy to use. It’s not over yet; WordPress has a lot to offer like free thousands of templates, easy to setup, free plug-ins, Search engine friendly and much more. Here in this article, our aim is to enlist the best hosting companies that are compatible with WordPress while using the shared hosting plans. But! Here is a critical problem that Which is the best WordPress Hosting that truly appropriates with my site? Don’t worry! We made it easy for you. We are pretty sure that now it is easy for you to select the web hosting that best fits your needs. We do all the tests by installing the same version of WP. We do tests by using the very basic plans of the below companies. Because we think if they deliver the quality in their very basic plan then they will be surely good in the higher ones. Here is the list of our findings that support and run the WordPress very smoothly and we confidently declare them as best wordpress hosting providers. They re-brand itself and launched in 2003 with the name of A2hosting which was “Iniquinet” before. It is one of the best wordpress hosting company that giving the 99.9% Uptime guarantee and in our experience, they are successfully achieving their claims. A2hosting is a much automatic they optimize your site by automatically installing the A2 optimized plug-in which is crafted by the A2hosting. This will save you especially when you don’t have enough knowledge that how to do the site optimization? Their plans are very attractive for hosting a blog. All the plans include the solid state drives and if you have the funds then go for the “Turbo” plan. Because it offers “turbo servers” and “A2 optimize site accelerator” which makes your site 20x faster. The company takes various precautions regarding the security and introduce Brute Force, Dual firewall, virus scanning, different security tools and automatic backup in their plans to make the security fool proof. They are delivering quality support services and maintain Live Chat, Phone Call, email and a big hoard of the knowledge base. So, you don’t need to worry about anything. We contact them on the live chat and testing out by asking different questions. The response comes within no time with very handy answers. SiteGround launched late as compared to its competitors (BlueHost, DreamHost etc.) but grows very rapidly and made good fame especially among the bloggers. The company well-crafted it’s hosting plans and offers various technologies to ensure the speed, uptime, security etc. Purchasing a plan is very easy and you just need to enter a few details. And now here you are in the cPanel where 1-click installer waiting for you for the installation of WordPress. All the data centers are backed by multiple power sources like generators and UPS to keep your sites always online. There is a built-in backup option to prevent any data loss. The SSD drives, SuperCacher, CloudFlare and much more are just to make your site insanely fast. Moreover, if you are tired of experiencing the downtime with your existing hosting then don’t worry shift to SiteGround their account isolation, Proactively server monitoring never let you down. SiteGround devoted it’s expertise to the support services and assign the knowledgeable staff to provide help to the customers over the Phone, Live Chat, and ticketing system. Trust us, they are available 24/7 and response within no time. For evaluation purposes, we take the “Launch” Plan. The hosting plan is well optimized with WordPress and having unique features like pre-installed WP, auto-updates, speed efficient, WP-CLI integration etc. etc. The company offers $250 advertising credits including $100 Adwords, $75 bing and $ 75 Yahoo to drive the quality traffic. The U.S based customer support offers telephonic, Live Chat and Emails solutions in every aspect. You can also skype them. We contact them by using Live Chat (as it is the most common way) and experienced them very fast. It seems like they are waiting for you. While concerning the speed, the load time is really short and by using the SSD drives, OptimumCache, and other speed enhancement technologies the services are truly expeditious. Also, PHP 7 supported which is very friendly and boasts the speed. With the average 99.9% Uptime persistently, e-commerce friendly, drag and drop builder the company is always our first choice while hosting WordPress and we recommend InMotion Hosting without any ambiguities. When it comes to the brand image there is no match of BlueHost and the best thing is it’s officially recommended by WordPress. By using the basic hosting plan we found that they are very professional in providing the services. The 1-click installer proves very handy while installing WordPress. In case of facing any issue, you can contact their 24/7 available technical live support via Phone, Chat, and Ticketing. BlueHost ensures the speed by using the resource protection technology and CloudFlare. Using CloudFlare free service, you can boost your site speed by 2x and it will load within 2~3 seconds. You should go for the “plus” plan as it offers a lot of features than the “basic” plan like spam experts, $200 for Ads campaigns, unlimited storage etc. etc. Trey Gardner founded GreenGeeks in 2006. If you are environment conscious then you will be pleased to hear that they are using renewable energy and receive several awards due to their environment-friendly initiatives. By adopting the latest technology company is able to deliver the speed. Newest Intel Xeon processors, SSD’s, 64 GB DDR3 Ram servers designed for maximum speed. Moreover, servers are properly managed against security, fire and humidity factors to prevent any kind of downfall in services. Trained and experienced staff provides help over the phone, live chat and ticket requests. A large stock of articles, FAQ’s and video tutorials are also available. So if in any case if you find there live chat or any other system slow then the stock of knowledgebase will surely help you. The company claims the 99.9% Uptime guarantee and have multiple data centers so that to divide the data among them to avoid any data loss. Believe us company surely met their uptime claim. As far as the load time concerns it is mostly 1.7 to 2.3 sec. There is a redundancy of features like free website builder, no migration fee, SEO tools, 1-click WP installer, PHP7, CDN and so on. DreamHost completing nearly 19 years in the industry and hosting over 1,500,000 sites. They offer diverse hosting like Shared, Managed, VP and Dedicated which are suitable for hosting small to high traffic websites. After purchasing the hosting plan here is a bit tricky for the users who are using the cPanel because the company offering own customize panel. But don’t worry they designed it as user-friendly and after a bit of focus, it is very easy to navigate. For support services, they did not offer any customer support on the phone. They are available on Live Chat, email and Twitter 24/7/365 and remember they are the Best Customer services 2016 award winner. Media Temple hosting plans comes with US-based award winning and top-notch support options and helping out the customers via Live Chat, Phone, tickets and even on twitter. We have given our preferences for Live Chat and found them super fast and amazing. Whether it’s a matter of installation or some other issue regarding security, updates, Admin panel… they are always ready to help you out. During our speed and load test, we found them quite efficient. The use of SSD drives, scalable bandwidth, PhP 7, CloudFlare CDN makes your site run splendidly. 99.99% Uptime guarantee and if they fail to deliver you can request for credit as per their credit policy. Moreover, automatic backup secures your data. Another marvelous stand of the company is the security initiatives. Frequent scanning for malware, vulnerabilities, outdated plugins, spam detection etc. and SiteLock to detect and remove the malware. Moreover, if your site hacked then just call them and let their security experts handle the security issues. It’s all up to you what type of security you need, they offer different security packs. Starting from a university dorm room in Oct 2002 by Brent Oxley company gain more than 1000 active customers in a year. Now, Hostgator is a big name and best wordpress hosting for small to average traffic websites and blogs. They offer a wide variety of hosting plans including Shared/Web, Cloud, WordPress, Reseller, VPS and Dedicated. The main edge they got is the pricing which is rally appreciative if we compared it with the quality. For the testing purpose, we purchased the Hatchling Plan which we think also a good plan for starters. Call, Live Chat, Ticketing, Video tutorials and the large stock of Forums are available 24 x 7 x 365. The support services are good and the staff is very knowledgeable but as we experience the Live Chat takes 15 to 45 minutes to connect. But this will not happen every time sometimes they are quick. But the company should improve it and be consistent. The Uptime is very important because if your site is down then the people shift to another and so that you lost many customers and readers. SiteGround claiming the 99.9% Uptime guarantee. Our test shows the company services are stable and keeps your site always online. WebHostingHub offers only shared wordpress hosting plans and known as a very good option for the small level websites. Not too old, the company started its operation in 2010. WebHostingHub under the supervisor of InMotion Company (a big name in the hosting industry) which is a very plus point in the favor of the WHH. They have not put any statistics or claiming any Uptime guarantee. But our test results are pretty acceptable and keep your site functional. Low speed sites annoying the customers that’s why the company offers SSD drives which are known for high speed over the mechanical drives. The competitive edge of the company is the number of features offered. SSD’s for 20x speed than the traditional, 90 days for testing the services, credit for marketing campaigns, Softaculous installer, no downtime during migration, drag & drop builder, cPanel, very compatible with WordPress, POP3/IMAP Email, and the list goes on. They charge a very small amount ($1) for creating the backup after every 24 hours. Very friendly and cooperative support available 24/7 at your service by phone, live chat, email. You can also chat with them over the skype. The support that we have received was fantastic. They posted the information on Facebook and Twitter related to tools that might be helpful for building the site and blogs so follow them to remain up-to-date. Well, the company is not well distinguished from the others in the industry. Start recently in 2010 company establish different data centers in Dallas, Texas and Infomart which are backed by generators, chillers, security monitoring etc. to protect from any disaster. Hostwinds is striving hard to provide exceptional support services. We found the live chat fair enough to solve the problem promptly. Phone, Live Chat, ticket system, and knowledgebase services are upheld by the company to figure out the customer problems. These services are available every time, every day and throughout the year. Company well-crafted the technologies to deliver the maximum speed and 99.9% Uptime guarantee. The results are pretty respectable and stable. WindSpeed technique helps to protect each user resources and done optimization that makes your site perform better. Conclusion – Which is the Best WordPress Hosting for 2019? Above list stress on the best hosts which shows satisfactory results. If you are a WordPress lover and in search of the hosting that best fits your blog or site then you should try from these. Almost all the companies using SSD’s to deliver a high response like InMotion, SiteGround, A2Hosting etc. Each of the hosting companies has its Pros and Cons such as WebHostingHub and SiteGround offers plenty of features in wallet-friendly packages but WHH is a new name in the industry while SiteGround limited the number of visits per month. In our opinion, InMotion, A2Hosting, SiteGround are performing bit higher and smoothly and suitable from all perspective (price, latest tech etc.) whereas MediaTemple is also a very good option but costly. At the end, We want to say that, choose the company that best fits your requirements. We carefully composed the list after doing several tests and judgments from different angles (performance, support, value etc.). Pick the right WordPress hosting fulfilling all of hosting needs and capable to handle traffic. Hi, Thanks for sharing such a nice article. I would like buy wordpress hosting from InMotion. As I have seen many good reviews about them. By the way, BlueHost is also good one. You may want to consider ecomlane, great managed dedicated servers. Been with them for just over a year, and I’m extremely happy with them! Hi! Nishat Mahmud. The choice of cloud hosting heavily based on the user requirements. Both SiteGround and A2 Hosting are the well-reputed and amazing providers. So if you have a high resource consuming site, then SiteGround might be a good choice. While for small site A2 Cloud hosting is a preferable option. Hi there – thanks for the list. We use Blue Host a lot, but I think it’s time to try some of the others.